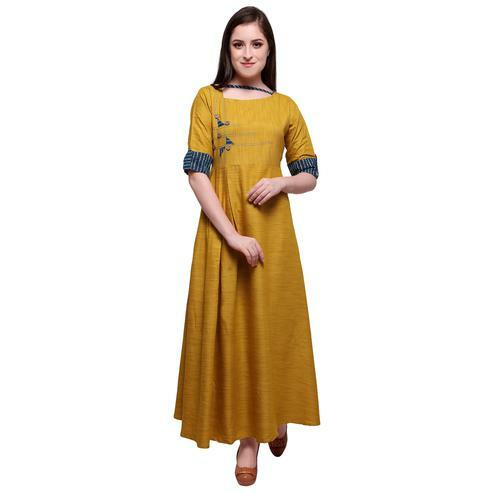 Get your wardrobe update with this latest fashioned kurti in stylish yellow colored fancy kurti. This sleeveless stylish kurti has been designed using pure rayon fabric and beautified with attractive color combination print work on yoke. 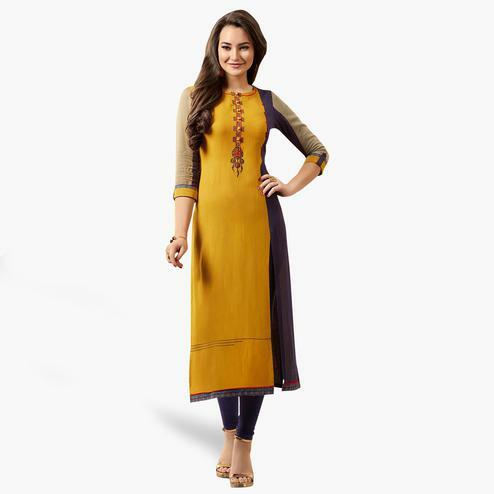 This ready to wear kurti is perfect to wear for parties and outings. Team it with fashionable accessories to look best from the rest. 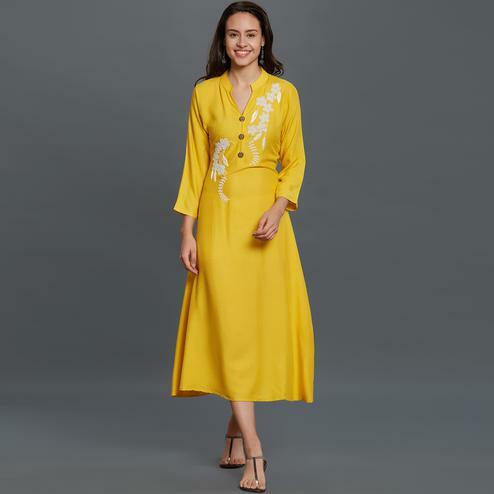 You can also team this kurti with jeans or leggings.